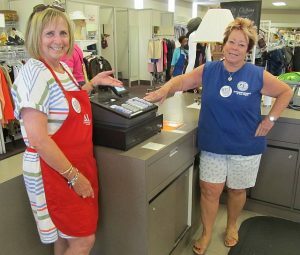 Desert Sage Auxiliary, certified in May 2001, was formed to complement the fundraising and philanthropic efforts of the chapter. Desert Sage provides an opportunity for those who wish to give service to the community but have limited daytime hours to volunteer. The focus of Desert Sage is to provide assistance for children and adults in the community. Desert Sage Auxiliary Angel’s Assistance Program provides services to local hospitals and clinics. Memory Boxes which include a burial gown, bonnet, blanket, a book on grief, and an angel pin for the mother are given to parents who have lost a child at birth. Tray favors are holiday gift bags that are given to pediatric patients at two local hospitals. Health kits and blankets are given to indigent new mothers. Shadow Buddies® dolls are provided for children with cancer at a pediatric oncology clinic. Pocket Books provide early readers with hand illustrated books, written by Desert Sage members, that school children can take home for their own libraries. Help for HOPE Scholars provides laptop computers to incoming students who are accepted into the UNLV HOPE Scholars Program. ChariTea, direct mail fundraising invitations, which include a tea bag, mailed to “friends of Desert Sage” asking them to relax, sit back, have a cup of tea while reading about our programs and send a donation. 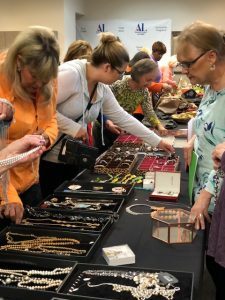 An annual fundraising event which includes refreshments, elegant baskets and a silent auction. 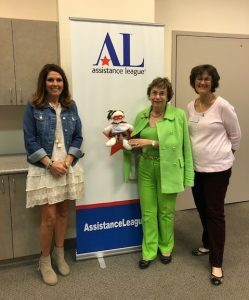 Desert Sage Auxiliary members work side-by-side with chapter members on other Assistance League programs. 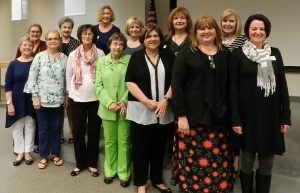 Meetings are held at the chapter facility, 6446 West Charleston Blvd., on the first Tuesday of each month, except July. A pot luck dinner begins at 6:30 PM, followed by a business meeting at 7:00 PM. Generally, there is an opportunity to work on philanthropic programs before the business meeting.